Project Bread believes that hunger is both an economic and a public health issue. We are committed to educating the public about hunger, and to reframing how hunger is thought about—and, importantly, how it can be effectively and sustainably addressed. Beyond the immediate impact on individuals, families, and the communities where they live, hunger in our state touches every one of us: diminishing the investments we make in education and work force training, increasing the cost of health care, decreasing the strength of our economy. Hunger is a moral concern to many, but it should be a public problem for all. Working hand in hand with the legislature and executive branch, Project Bread champions legislation that makes a big impact on the lives of low-income children and families—locally, regionally, statewide, and nationally. We also partner with higher education the medical community, and those who drive public policy in our government, all toward the goal of developing solutions, connecting smart programs with the funds they need, and advocating for legislation—to make a difference in the lives of those who are hungry. Right now, Congress is considering cuts of up to $40 billion to the SNAP program through passage of the new Farm Bill. Yet SNAP protects 500,000 Massachusetts households from hunger. Take action! Contact Massachusetts Senators Elizabeth Warren and Edward Markey and your U.S. Congressman/woman to thank them for their tireless work on behalf of hungry people in Massachusetts and to voice your support of critical programs like SNAP. Project Bread is a leading advocate for effective legislation and public policy: The Massachusetts Agenda to End Child Hunger (1990) enrolled every eligible mother, infant, and toddler in the WIC program. Universal School Breakfast (2000) and the Mass Child Hunger Initiative (2001) made breakfast free in elementary schools where 60% or more of the children were eligible for free or reduced-cost meals. One Stop Shopping (2003)—a framework for program design that has been adopted statewide—automatically enrolled children receiving SNAP into the free school meals program. The School Nutrition Bill (2010) limits the sale of unhealthy food to schoolchildren during the school day—making the healthy choice, the easy choice—and grew out of a five-years advocacy period with public health leaders, school nutrition professionals, parents, and pediatricians. As one of 30 food and health organizations in The Massachusetts Food Policy Alliance (MFPA), Project Bread helped drive legislation to establish the Massachusetts Food Policy Council in 2010. Project Bread is an active member of the Alliance; acts as a fiscal agent; and brings together diverse stakeholders across the food system to create a sustainable, systemic, effective, and inclusive food policy for Massachusetts. 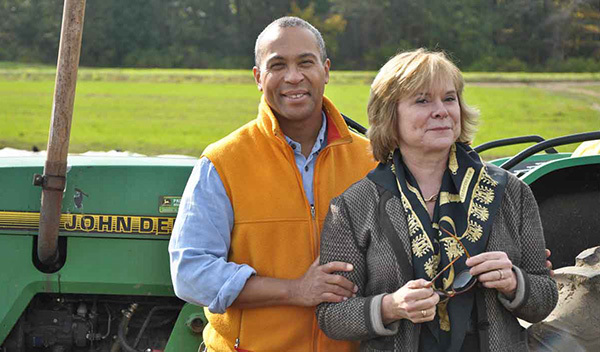 Project Bread was an early advocate for legislation to enact the Massachusetts Food Policy Council (2010/2011) and Executive Director Ellen Parker serves as a gubernatorial appointee, representing food insecurity issues as Vice Chair of the Advisory Committee. The Council brings diverse community interests to the table; advances food system thinking within the Commonwealth; increases production, sales and consumption of Massachusetts grown goods; and develops programs that deliver healthy Massachusetts-grown foods to state residents. The mix of experts, advocates, and ordinary people generates holistic thinking around the future of our food system. NERAHN is a coalition of agencies, administered by Project Bread, which takes a leadership role in federal policy discussions around SNAP and child nutrition. Member agencies from across the northeast and New York come together to share best practices and advocate for changes in public policy that have an impact on food resources for low-income people. Beyond the significant dollars raised—and the 400 programs and agencies that benefit from the pledges of the 40,000 people who participate—the Walk is also a clear statement to policy-makers and funders about how much people within the Commonwealth care about those who are hungry—and how passionate they are about changing lives for the better. Learn more. Learn more about hunger through Project Bread's research.